Wow. Kudos to all you out there who post detailed tutorials regularly. 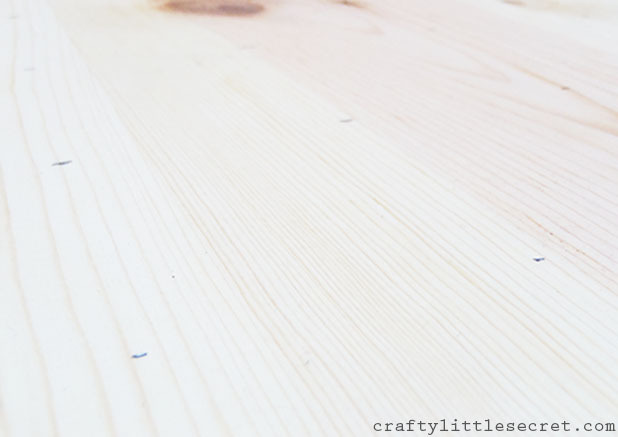 I always forget how long I take to edit all the photos and get the posts up! This one has been in the making for a month….which I guess isn’t so bad. 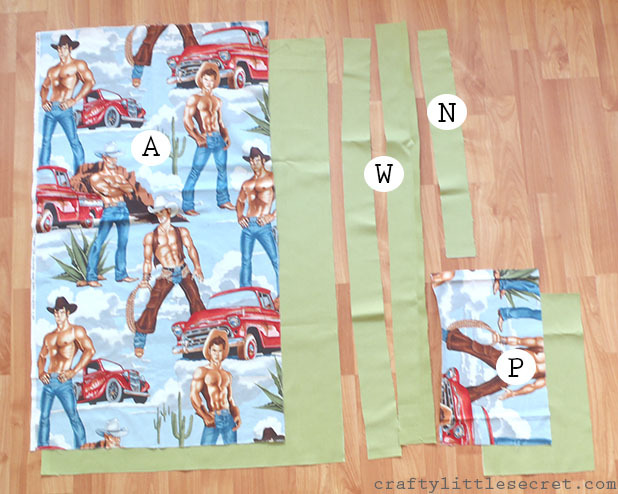 What you’ll need for this project…..
**** You could actually get away with less depending on which way the pattern runs, but for most patterned quilting cottons, you’ll need the full yard. 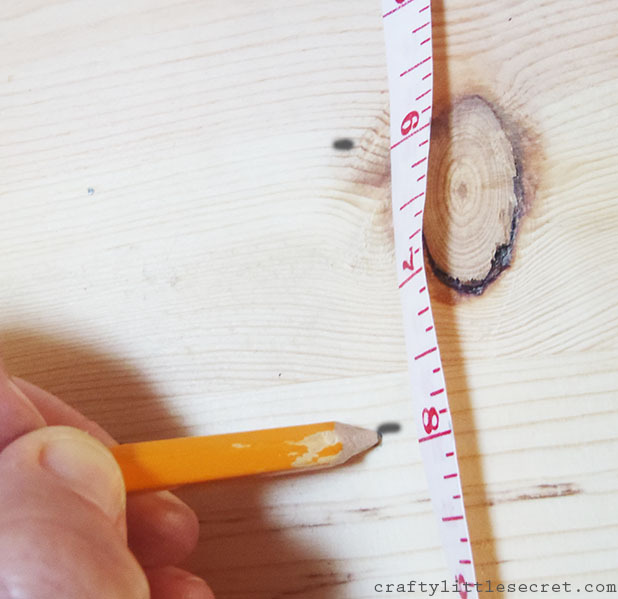 Using chalk, make a tick mark on the apron pattern pieces 15″ down from the corner on the long side, and 6″ from the corner on the short side. Draw a line connecting the two pieces and cut the corners off. 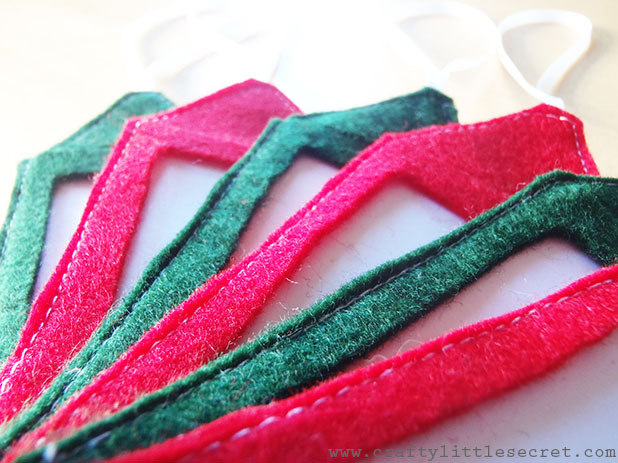 To make the waist and neck ties, fold and iron fabric as when making bias tape. 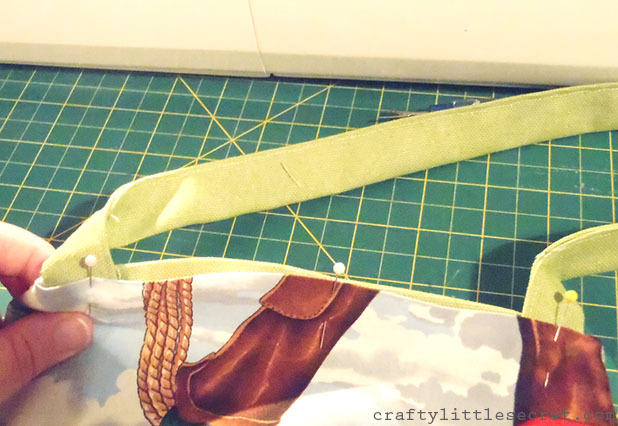 Fold the tape in half lengthwise and sew it up as close as you can to the open edge (I kept my seam allowance about 1/8″). 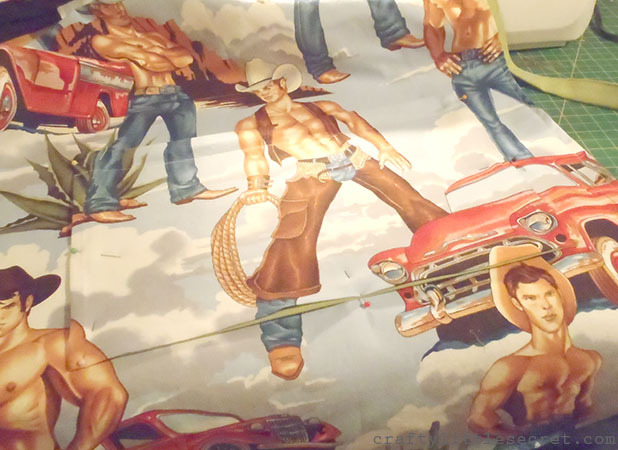 This is where it’s very important to have that 16/100 denim needle. 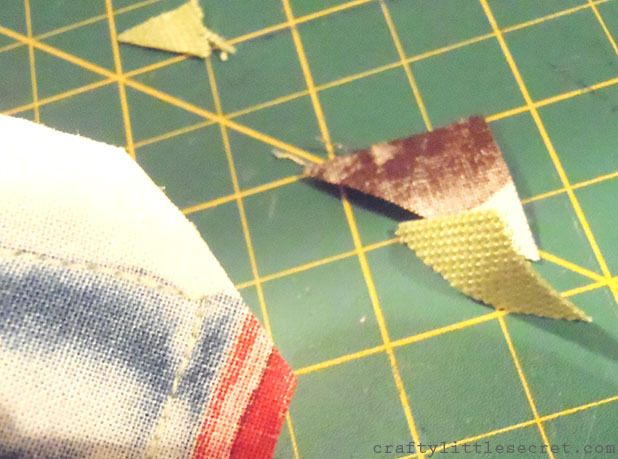 Once you start sewing through multiple layers of the heavy duck (or similar weight) fabric, needle shards go flyin’ if you’re not using the right size. 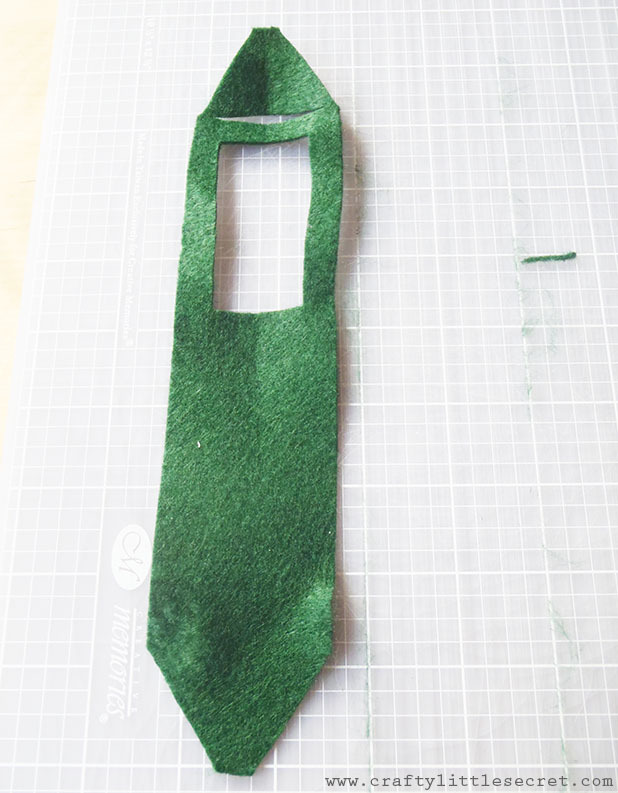 To finish the ties I just double overed the ends a couple times and sewed through the bulk of it….carefully. 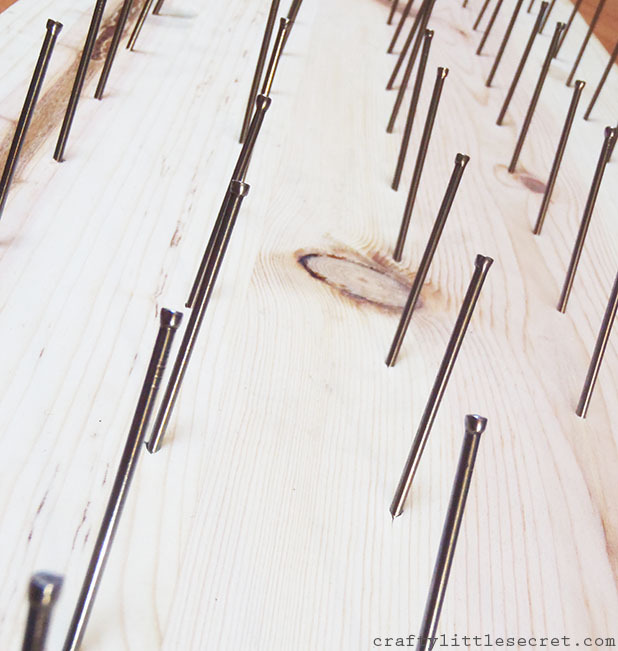 Watch for breaking needles and take it slow. No one likes a needle shard in their eyeball. 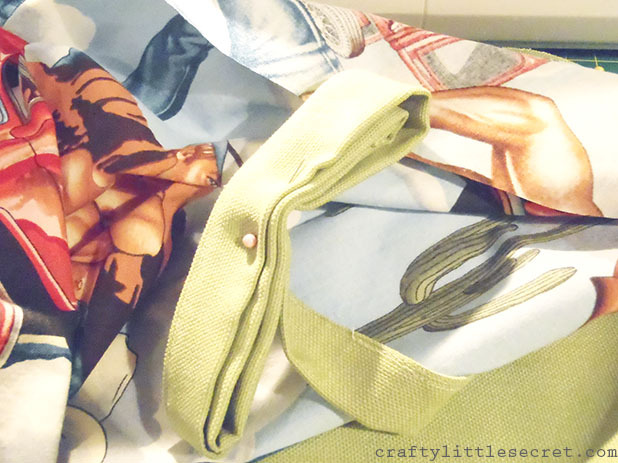 Attach the ties by sewing them into the side seams (I attached them at the point where the angled front of the apron meets the straight sides). 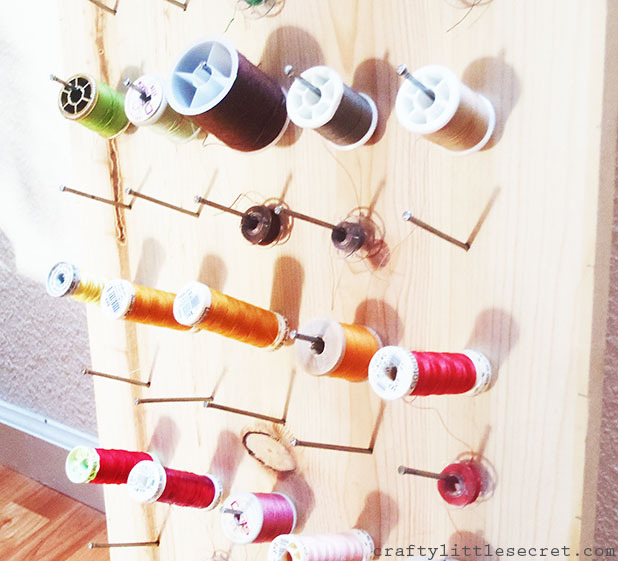 Since the ties are so long I found it helpful to keep them contained by pinning them into a coil to keep myself from sewing them into the seams at wonky places. 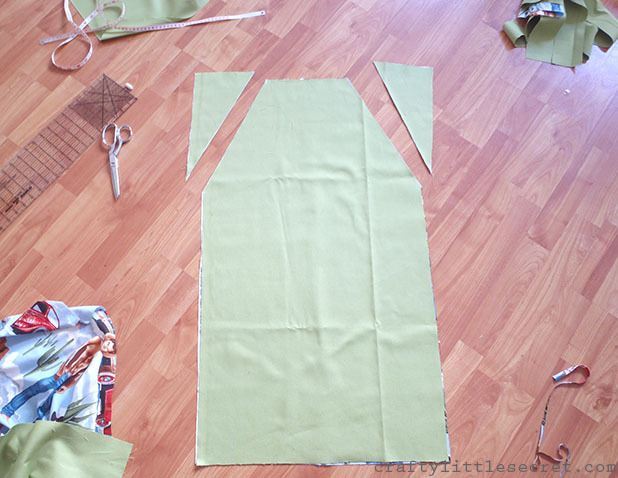 To attach the apron front to the apron backing, place right sides together and sew with a 5/8″ seam allowance. 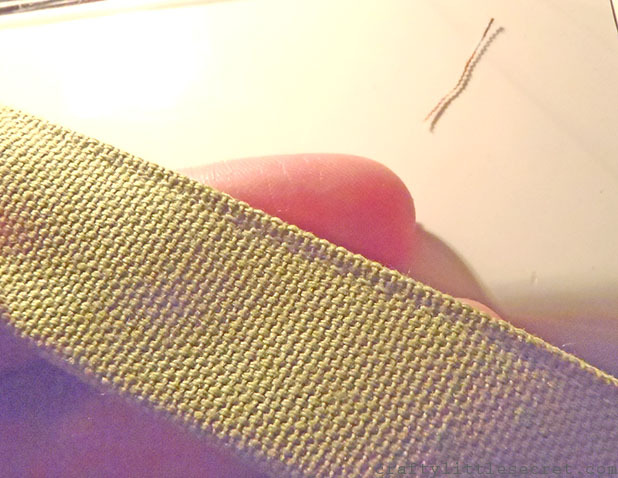 Sew all five bottom edges together (I went back and forth over the spot where the waist tie joined to add a little extra strength) but leave the top open. 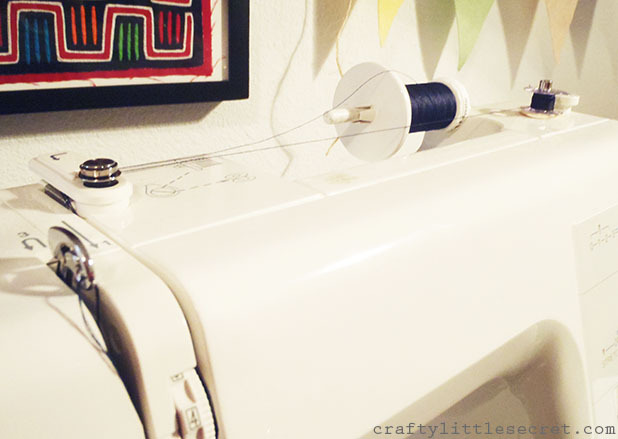 This allows you to turn the apron right-side-out again. Which you should do now. 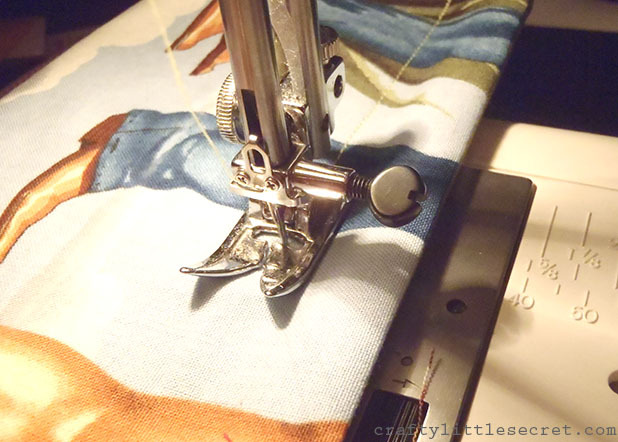 Flatten the apron and adjust the seams so that the corners are nice and neat (you can use a pencil to help turn them) then iron all the seams so they’re nice and crisp. 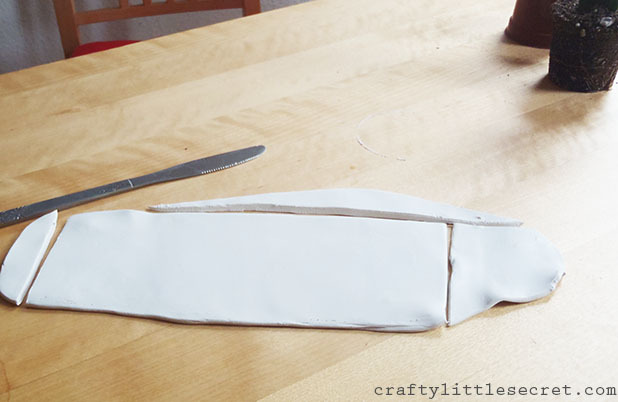 Sew the neck tie the same as the waist ties, but leave the ends open and unfinished. 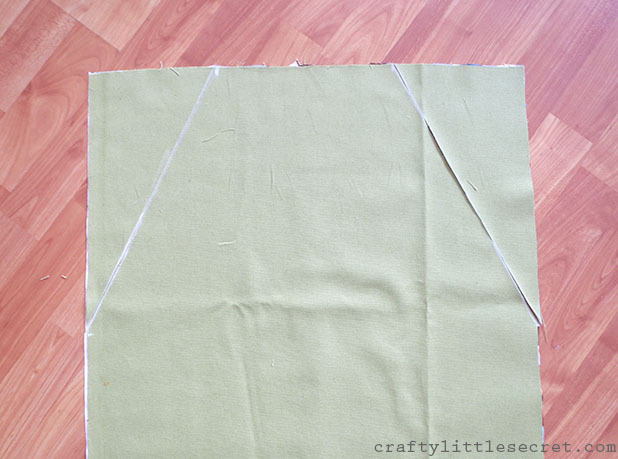 Fold the top edges of the apron pieces toward the inside about a half inch. Pin the neck tie in place with about an inch of each end tucked between the apron layers. 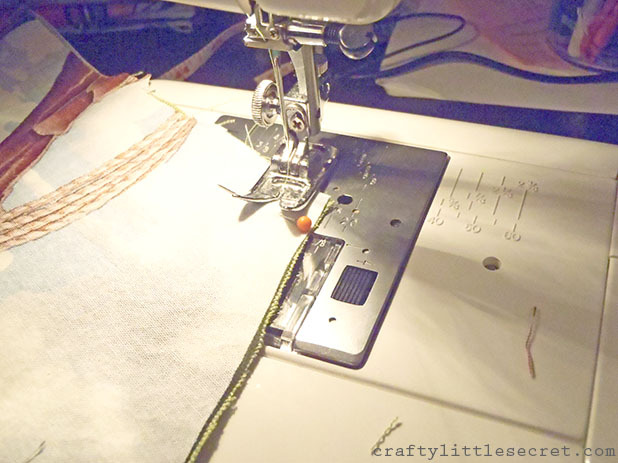 Top stitch the neck closed and all the way around the apron with a 1/4-1/8″ seam allowance. 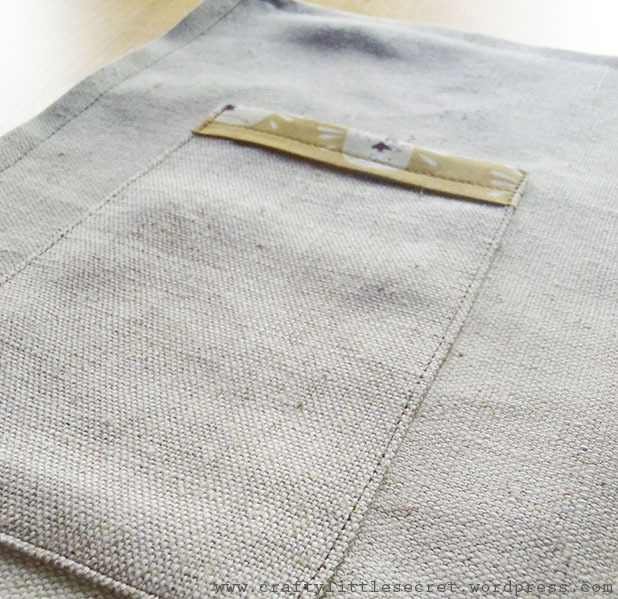 The top stitch adds a little extra strength and gives a nice finished look to the apron. You can stop here now if you want to….but we’re having so much fun! Let’s keep going and add some pockets. 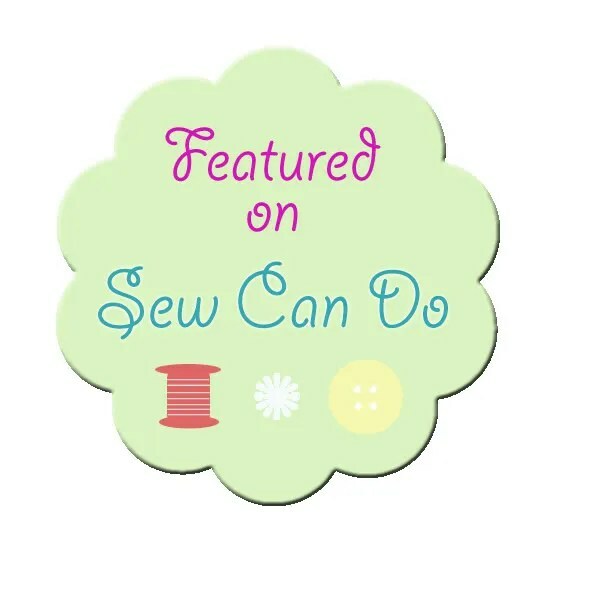 With right sides facing, sew the two pocket pieces together with a 5/8″ seam allowance and leaving a 6″ opening at the bottom. 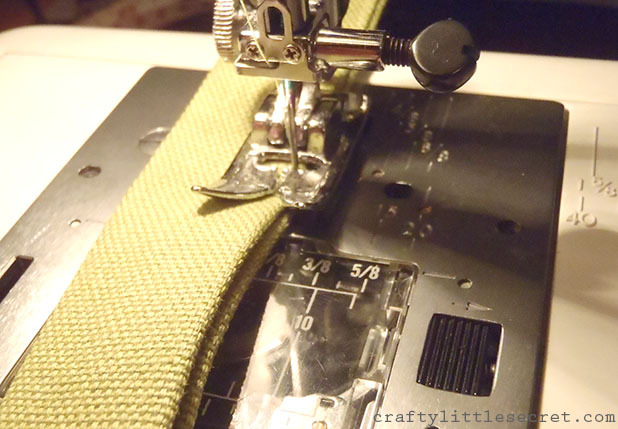 To help get nice crisp corners on the pockets, or any time you’re sewing right angles, it helps to trim some of the seam allowance off the corner. But be careful not to snip your stitches! 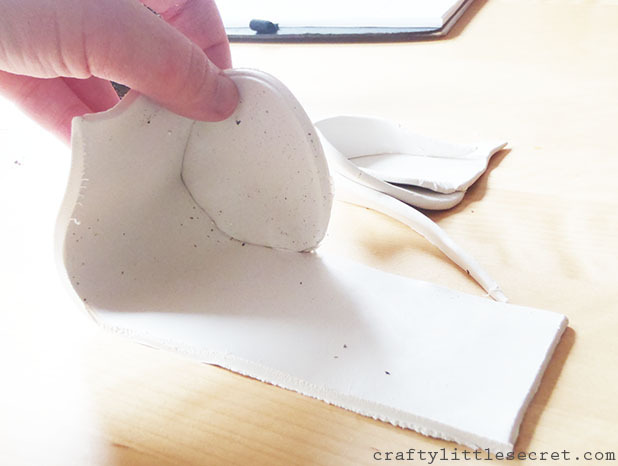 Fold the edges of the opening that you left inward and iron in place. Top-stitch a decorative border along the top edge of the pocket piece. 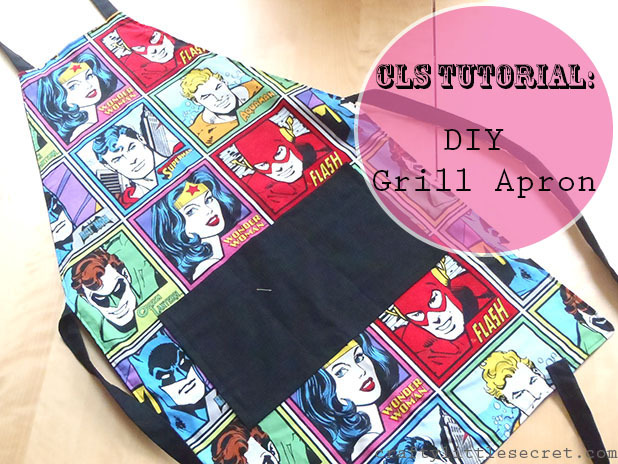 Again, this is just adding another of those little finishing touches that will help make your apron look a little more pro. Center the pocket piece in the apron about 8″ from the bottom of the apron, or at whatever height feels comfortable for you. 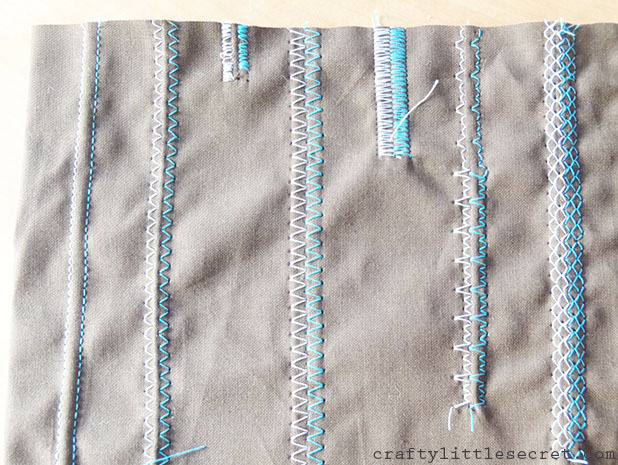 Top stitch around the bottom and two side edges leaving the top of the pocket open. 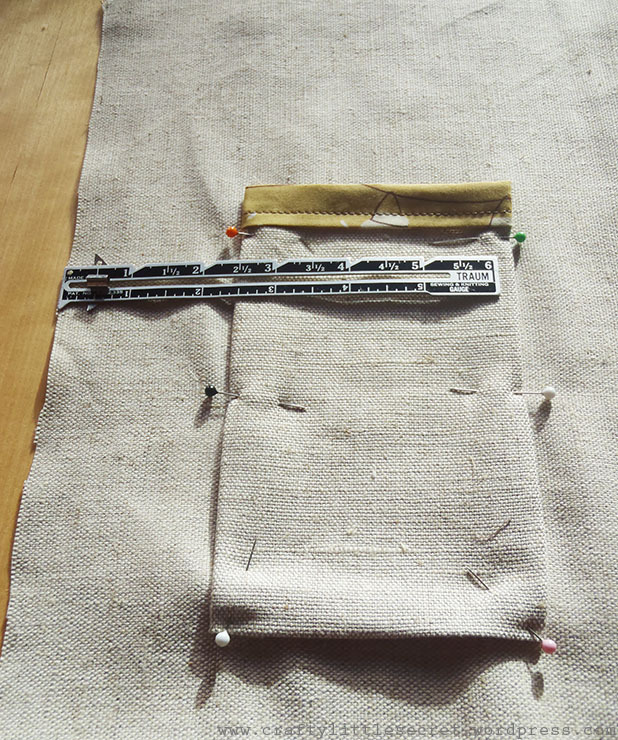 The final step is to divide the pocket into small sub-pockets if you want. I found it easiest to draw a chalk line first as a guide to follow since my stitching has a tendency to get pretty wonky if I don’t have an edge to use as a guide. 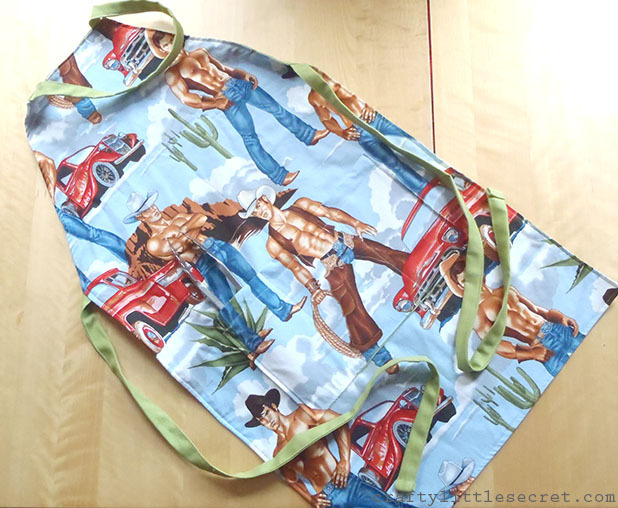 This entry was posted in DIY, handmade gift, Pattern Drafting, Patterns and Tutorials, Sewing Projects on September 14, 2014 by missphd. 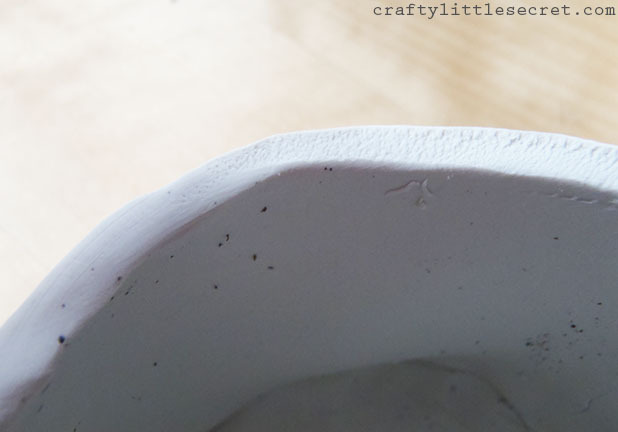 Tutorial: DIY Baked Clay “Person Planter”! It’s a much needed rainy day today in San Francisco and it gave me a hankerin’ for a rainy day craft. I’ve propagating some of my succulents and am in need of somewhere to put them so I’ve been imagining all varieties of little clay pots that I could make with the clay leftover from my garden markers. Of course, when I finally decided on a design I also decided it would be absolutely perfect for a little flowering cactus I have that didn’t need a pot! 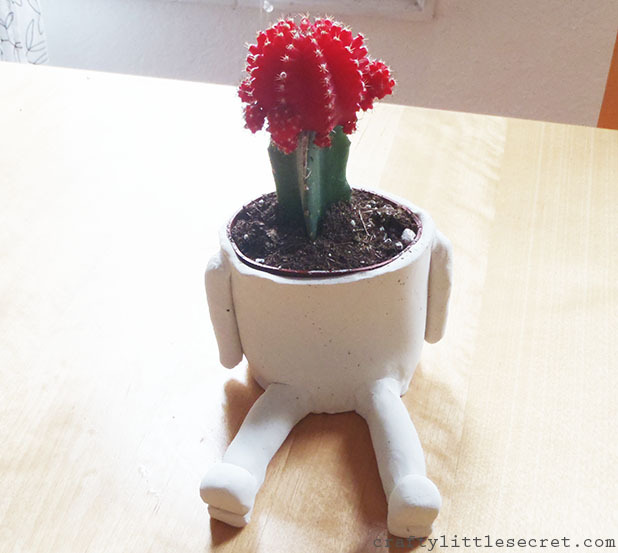 The design for this adorable little person planter is based off one that I saw on Etsy but I didn’t pin it straight away or favorite the shop, and try as I might I can’t find it again! Sorry! 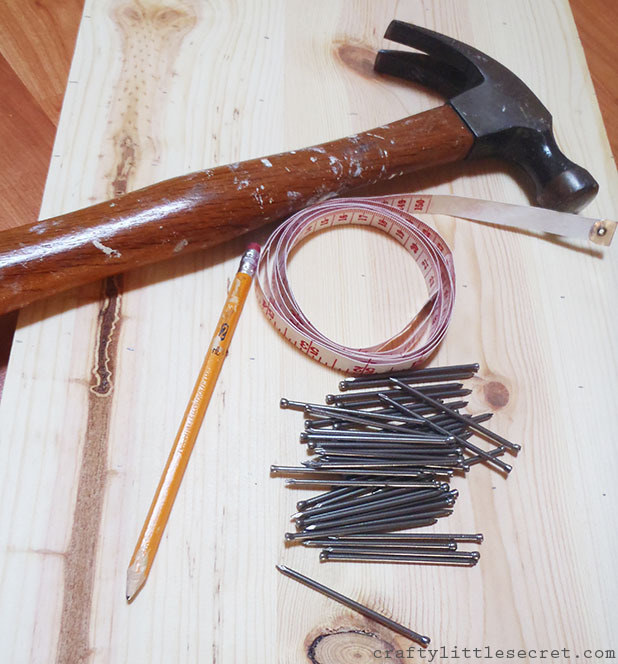 So instead, here is a little tutorial on how I put mine together. 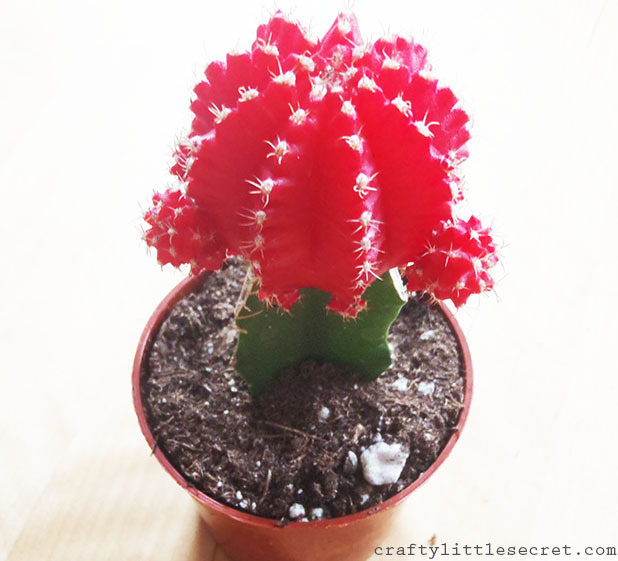 For materials, all you need is an adorable little cactus or succulent in a plastic pot, some Sculpey clay (or other baking clay brand) and a butter knife you don’t mind mucking up a bit. My cactus was bound in the soil well enough that I was able to gently tug on it and pull the soil out of the pot without making too much mess. Then I could use the pot to cut a circle out of some clay that I had rolled to about 1/8″ thickness. It takes a little working the clay in your hands to get it soft enough to roll out. 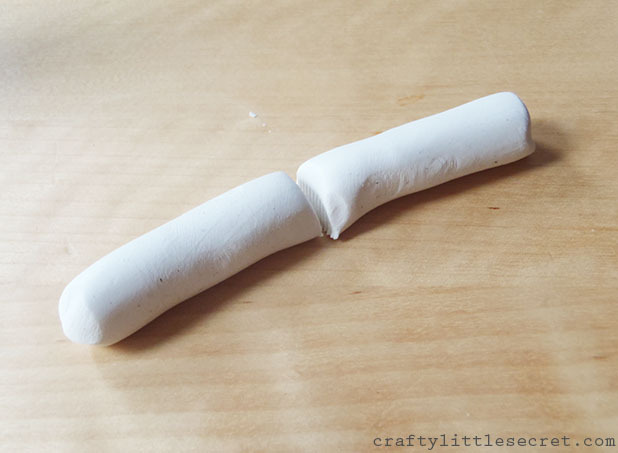 I found it easiest to work little 1-2″ balls of clay at a time then amalgamate them when I’d warmed each up. 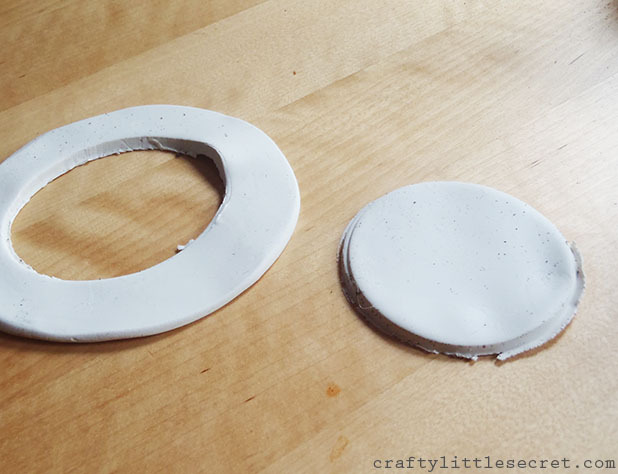 This circle that you’ve cut out will form the base of your pot and the surrounded ring can be combined back with the rest of your clay. I next rolled out a ball of Sculpy that was….oh….I’d say a little smaller than a tennis ball, to a 1/8-1/4″ thickness. You really can’t go thinner than that or the clay won’t have enough strength to hold it’s shape. Even at the thickness I used, it was pretty delicate and warped a little with the cooking (but the plastic pot still fit in easily at the end). Roll this piece out to be a long oval shape because it will be trimmed down to a rectangle to form the sides of your pot. Of course you could easily figure out the circumference of your circle, and thus the length of rectangle needed, with a little math. But who wants to do math??? 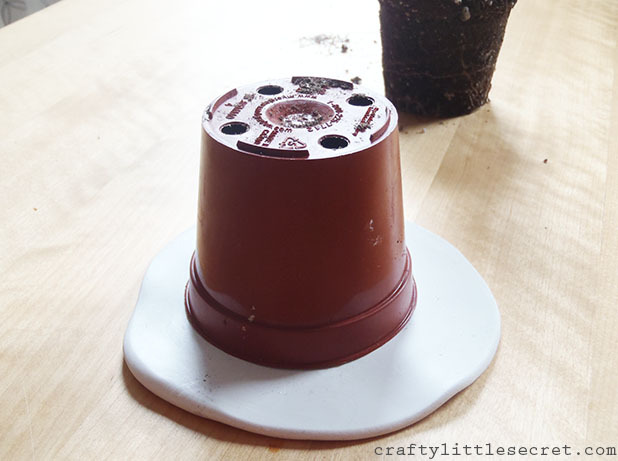 Instead, you can make a little tick mark on the mouth of your pot. Lay the pot on the clay and gently roll it around until you reach the tick again, marking your start and end points. The distance between the points should be the length of rectangle you need! I wrapped the rectangle around the base of the pot, gently rubbing the seam where they join together being careful not to distort the shape or thin the clay. Now you should have a cup shape. I had some ragged looking edges on the upper rim of the pot that I wanted to smooth out. Can you see? The left side has been smoothed and the right side is the original rough edge. Also, you can see the potting soil that I kept rolling into my clay because I didn’t clean my work surface well enough! To smooth these edges out just gently rub your finger along the rim with very little pressure. 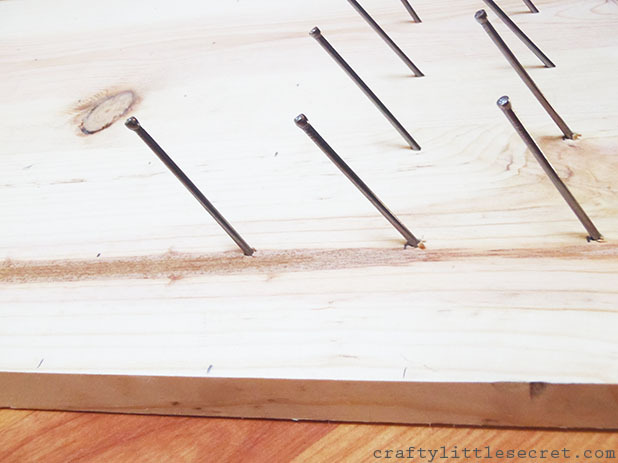 Run your finger over the edge a few times and the heat from your finger should smooth out the edge. 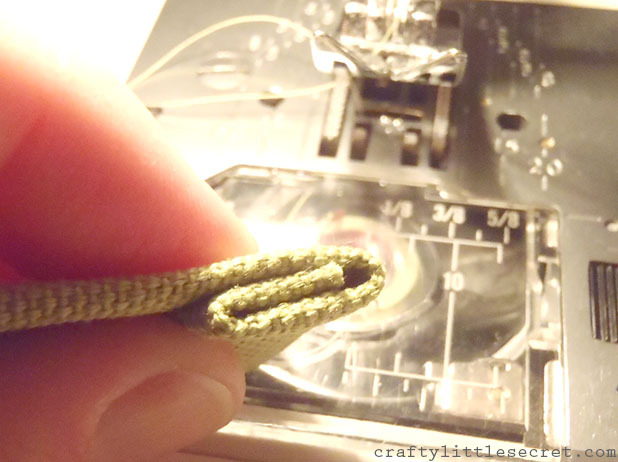 Use this technique to cover up the seam where the two short edges of the rectangle joined. 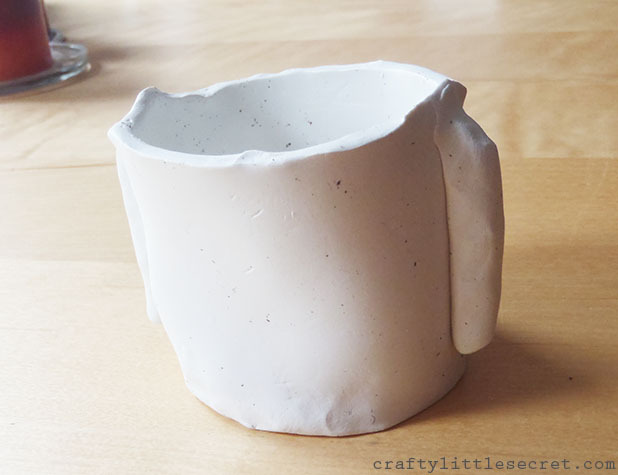 Again, be careful to not push too hard and distort the shape or thin the clay. Next, I rolled out a couple little logs of clay and cut them to size to form the arms of the person planter. Gently press the arms onto the sides of the pot, supporting the back as you do so. I really rubbed the shoulders and made sure that they were well attached to the pot. As you can see in the picture above, that distorted the upper rim of the planter a bit so, again, I just gently rubbed it with my finger to smooth it out. 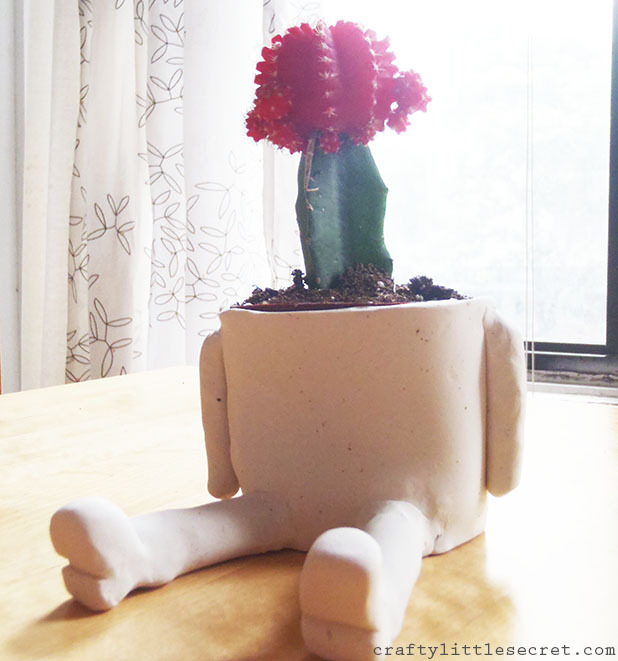 I used the same technique to make a pair of legs that I attached to the pot and even added some cute little feet at the end. I very carefully transferred the whole thing to a Pyrex baking dish and put it in the oven for 20 minutes. 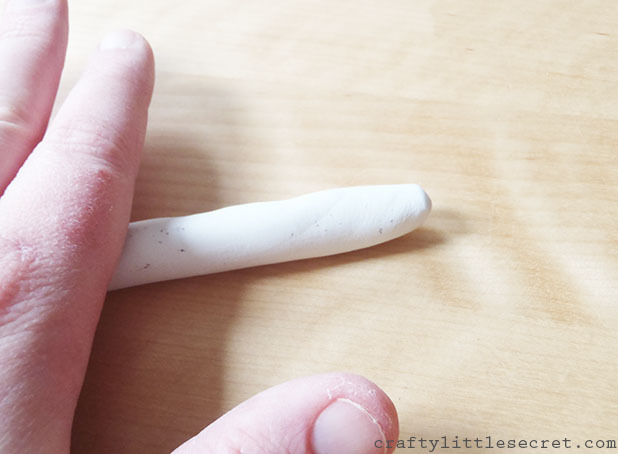 The Sculpey clay packaging suggested 15 minutes in a 275 F oven per 1/4″ thickness, but you should definitely check the directions for your clay before proceeding. The Sculpey packaging also warned not to microwave or over bake the clay. I have no idea what dire consequences you’d experience if you attempted either of these things. 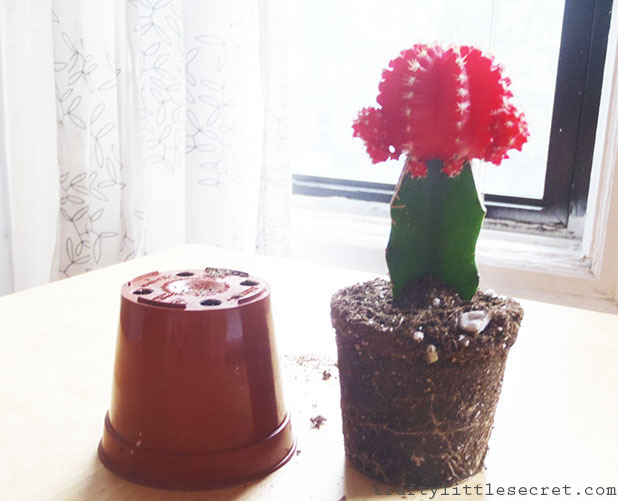 Once the clay cooled, I plopped my cactus in and I think the end result is pretty darn cute! As I mentioned previously, I did get a little warpage as my clay heated but the baked clay products don’t dry rock hard like kiln-fired clay and my cactus was in a thin plastic pot so I was still able to fit the cactus in no problemo! 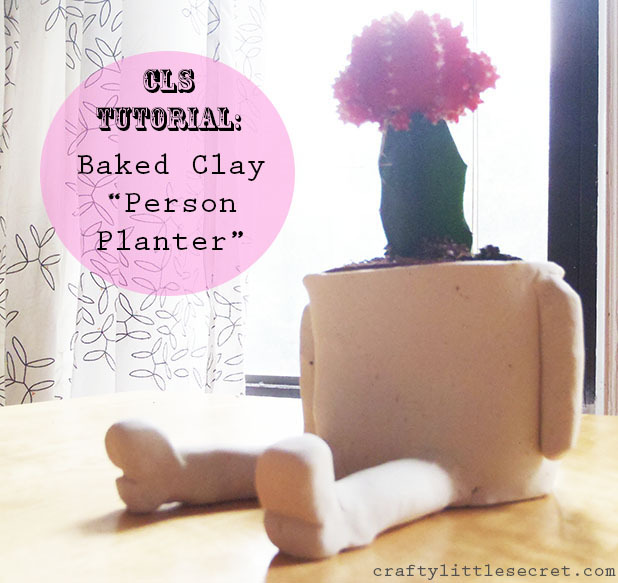 And there you have it, a DIY baked clay “Person Planter”! 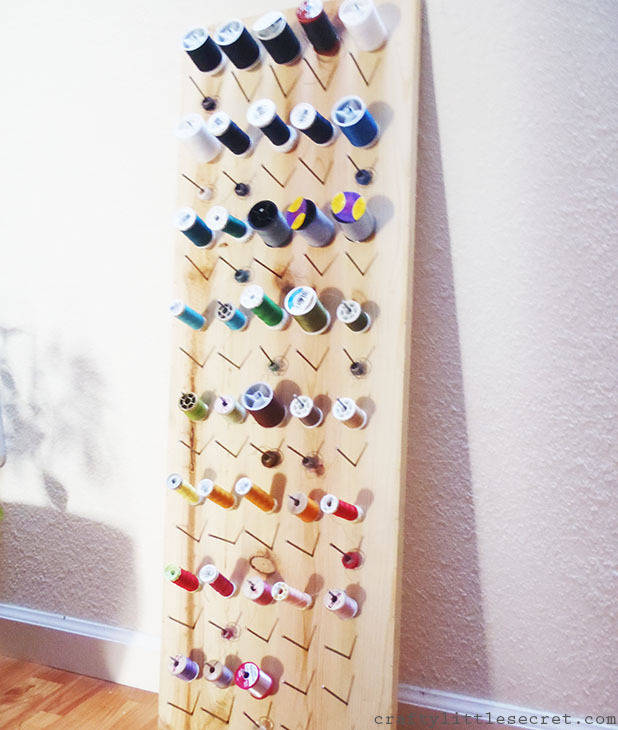 This entry was posted in DIY, handmade gift, Patterns and Tutorials on February 6, 2014 by missphd. 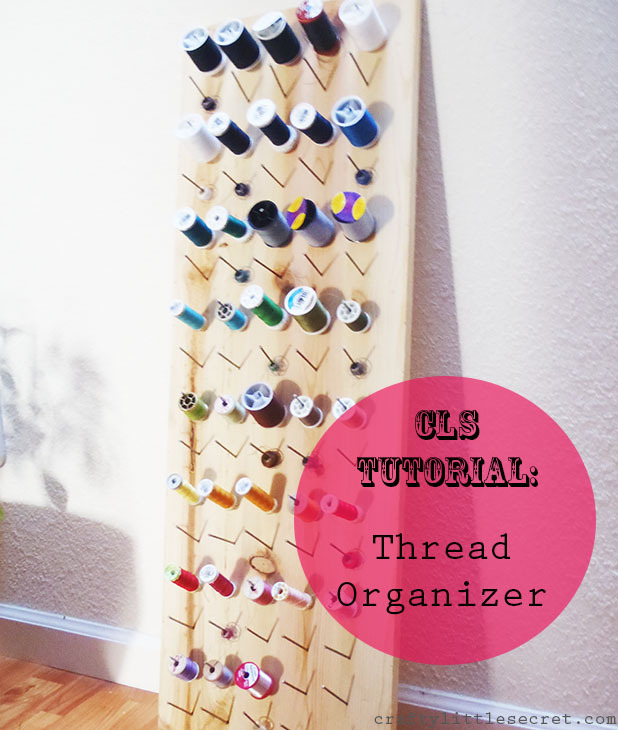 I originally made this tutorial to introduce a new item to my Etsy shop, but my super supportive mother-in-law already purchased the item! So it’ll be a few days before I’ve got more in there. 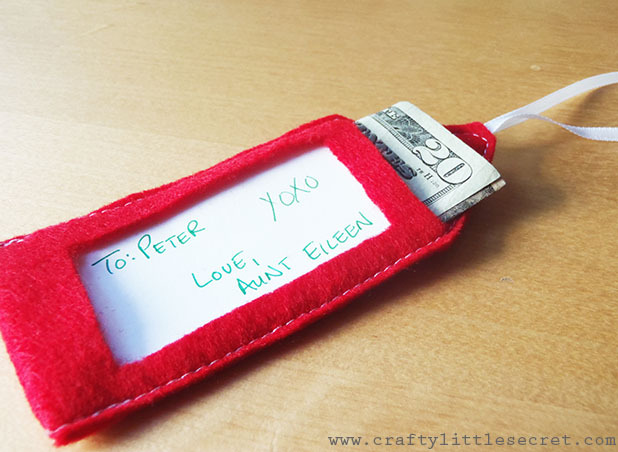 Anyway, without further ado…..a tutorial for making your very own reusable gift tags! 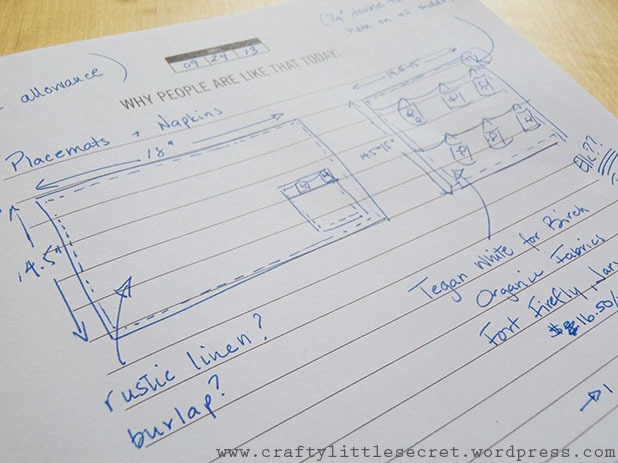 I found it easiest to build myself a card stock template to trace onto the felt. I cut each template to be 2″ wide and 9″ long, folded it in half and trimmed the corners then cut a rectangle out of one half. 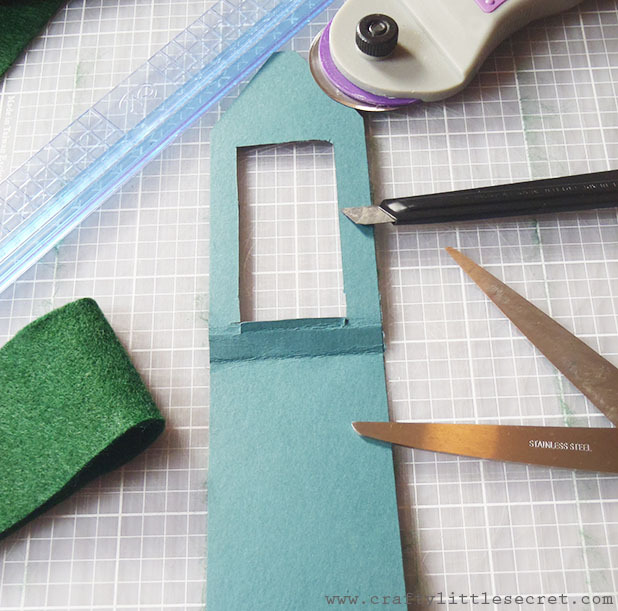 This rectangle cutout will make the window that the card stock will fit into. I found it was easiest to cut the strip out with a rotary cutter. 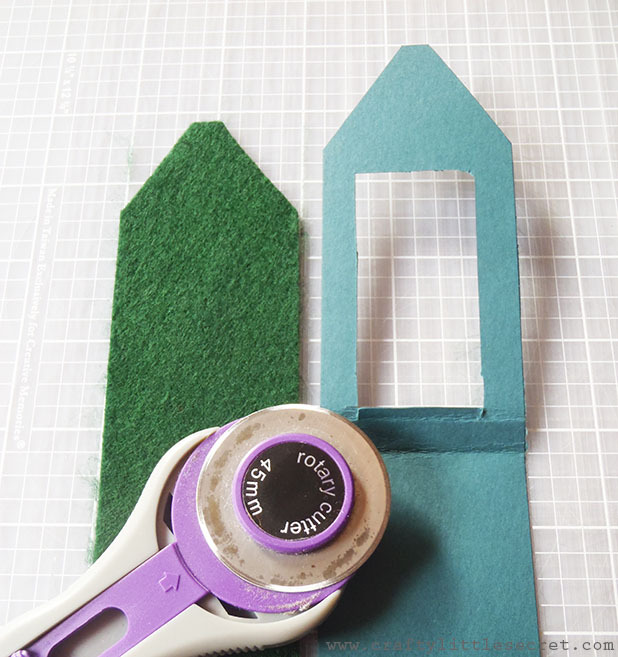 To cut out the window, I found it easiest to fold the felt in half length wise, trace the window and cut it out with scissors. I also cut a little slit above the window for inserting replacement card stock. Unfortunately, as often happens with me, I got a little engrossed in the process and stopped taking pictures. Whoops! But it’s pretty simple so I think you can follow along without them. 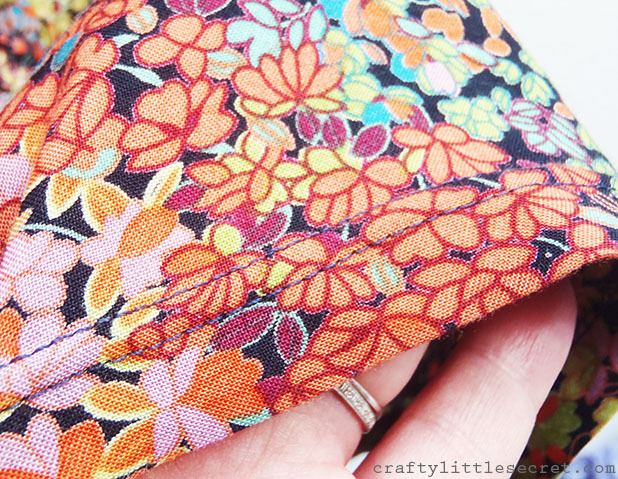 If you want to sew an extra embellishments on the back of the tag, it is best to do it before assembling the tag. 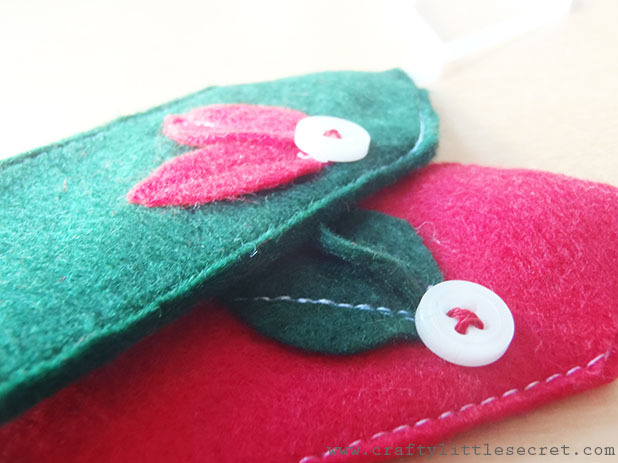 I just used a couple bits of scrap felt and sewed them up the center to make a pair of leaves. If you’re going to add buttons like I did, it’s best to wait and do that at the end. 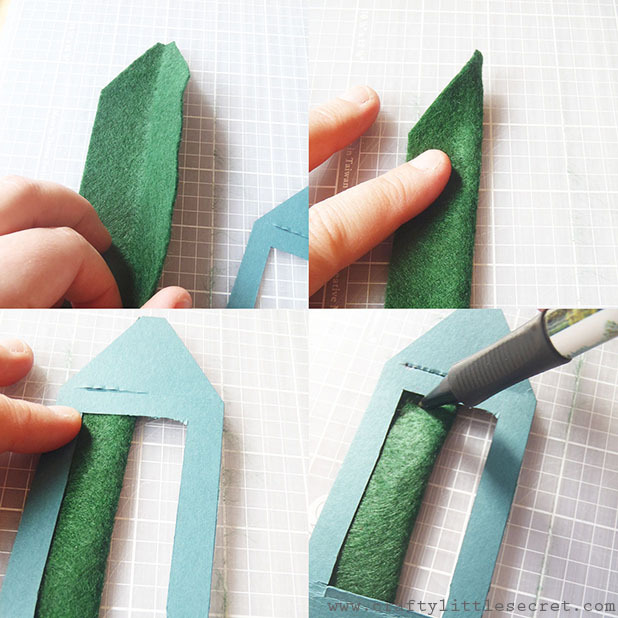 To assemble, just fold the felt in half bringing the tips together. 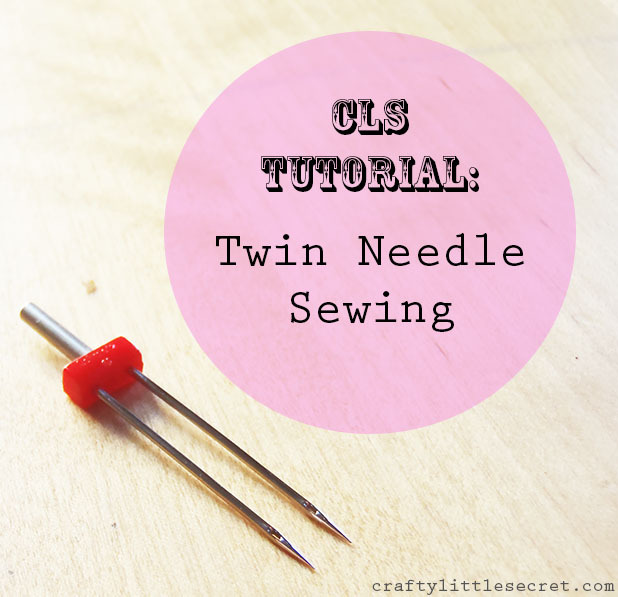 When pinning, insert a folded length of ribbon (about 6-8″) at the point and sew all around the tag as absolutely close to the edge as you can get. 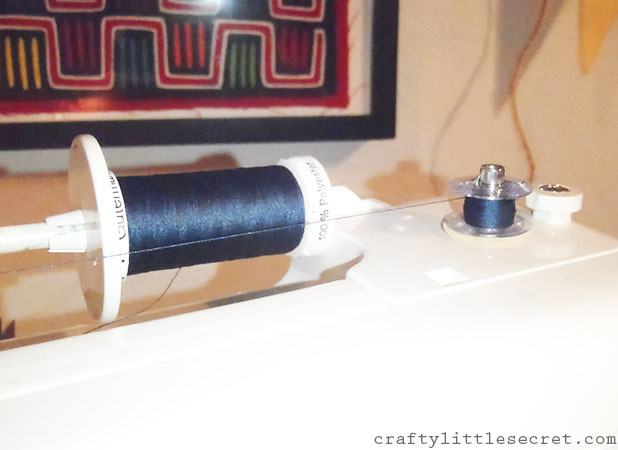 I used a contrasting thread for a nice extra bit of detail! 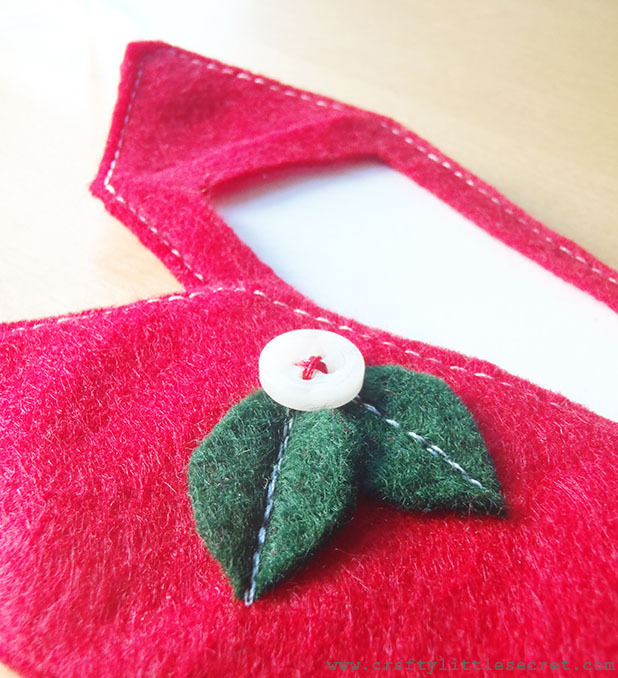 This entry was posted in Christmas, DIY, handmade gift, Patterns and Tutorials, Sewing Projects on November 7, 2013 by missphd. 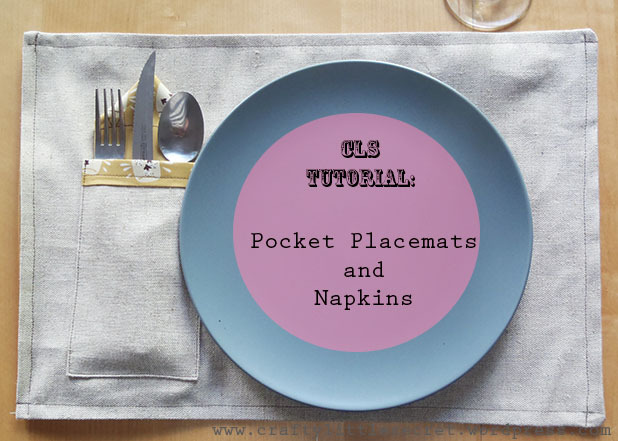 Tutorial: DIY Placemats With Pockets! With Christmas fast approaching and my employment still in the “un” category, I’m looking at trying to do an almost entirely handmade holiday season this year. 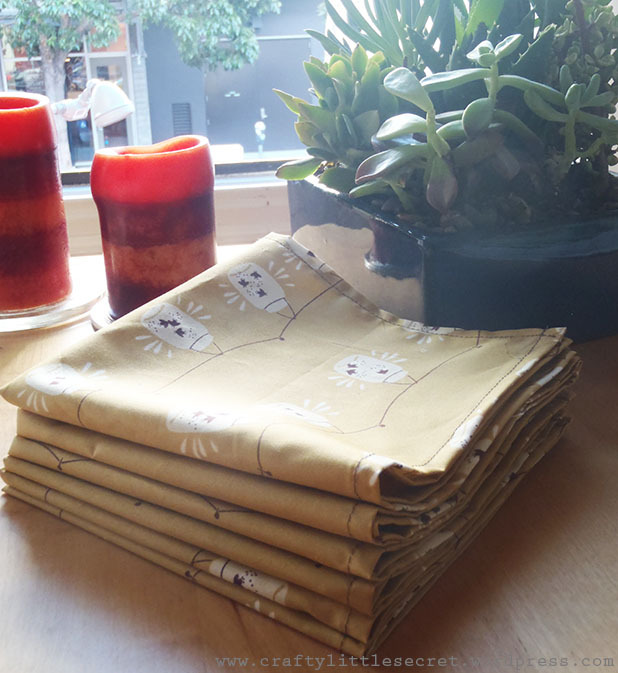 I think kitchen linens can make a great hand sewn gift, and I know my mom appreciated the double-sided napkins I made her earlier this year! Anyhoo, with this type of gift in mind I decided to try out a pattern for placemats with utensil/napkin pockets on them. Cuuuuuuuute! 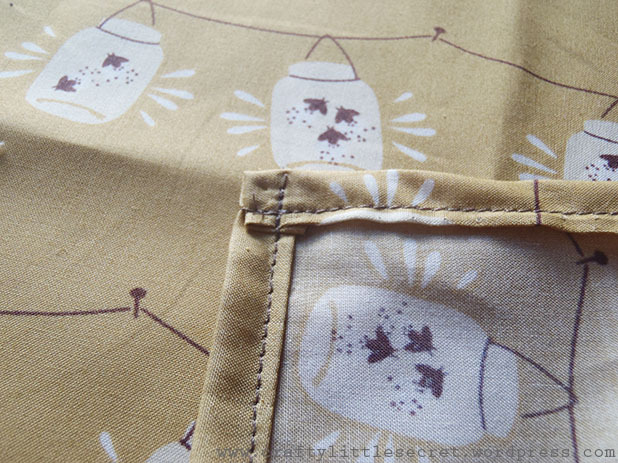 As I’ve mentioned before, I absolutely love the fabrics available from Fabricworm.com. I came across this fabulous print from Tegan White for Birch Organics and thought it would work well with the current color scheme happening in our apartment. 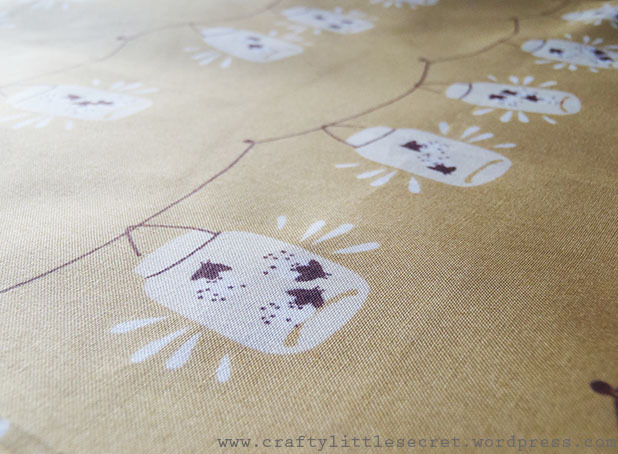 Awwww, I want a string of firefly jars to light up my apartment! 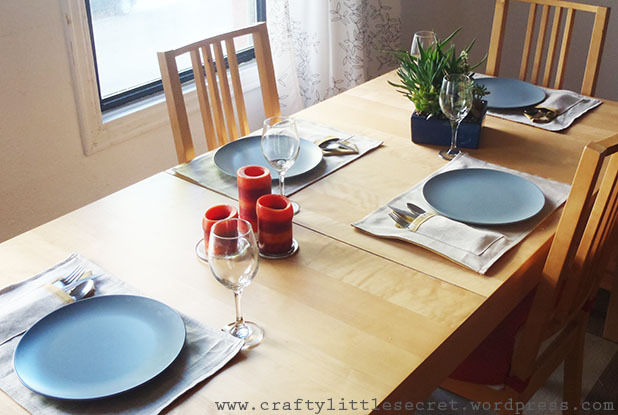 I liked the idea of making a place setting for 6. Even if we don’t always have that many people for dinner it’s nice to have extra around in case something gets an irreparable stain or to put serving dishes on. So. 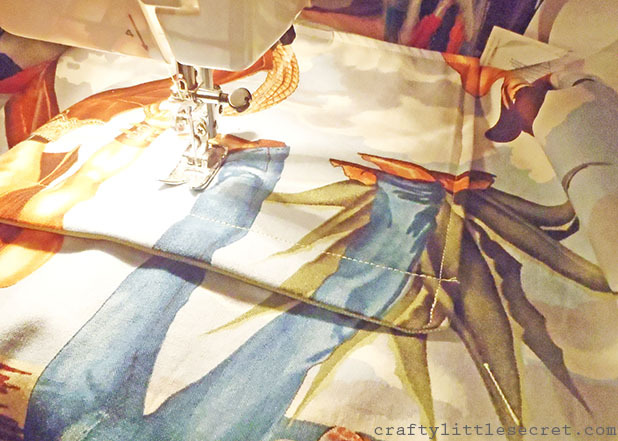 Using my roller blade, I cut out 6 15″x15″ squares from the Firefly cotton for the napkins, and 6 19″x15″ squares each of Firefly cotton and my linen for the placemats (the Firefly cotton goes on the back to make them reversible!). 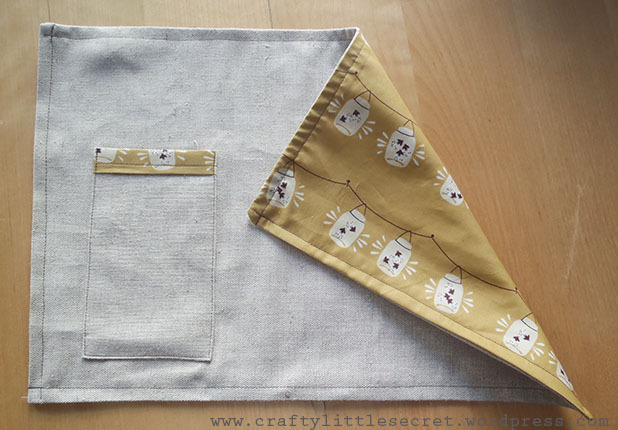 I also cut 6 8″x5″ linen pieces and 6 5″x2″ cotton pieces (or 5″ lengths of coordinating bias tape) to make a cute little pocket for your silverware and napkins! As was the case with the double sided napkins, ironing with this project is key. Siiiiiiiigh. 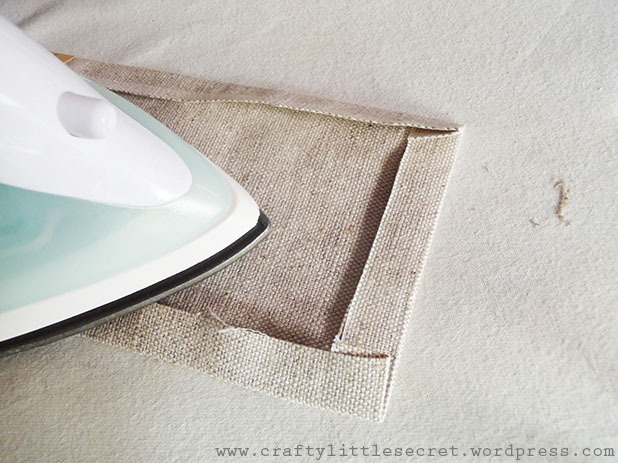 To make the napkins iron a quarter inch hem on all sides, then fold it over and press again with about a half inch hem. 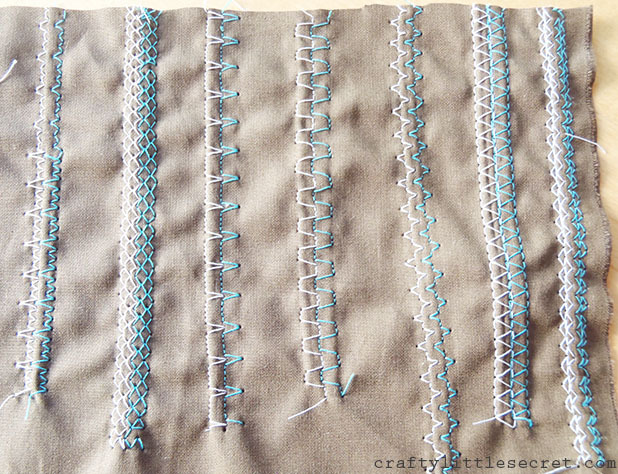 Top stitch using a coordinating thread and you’re done! 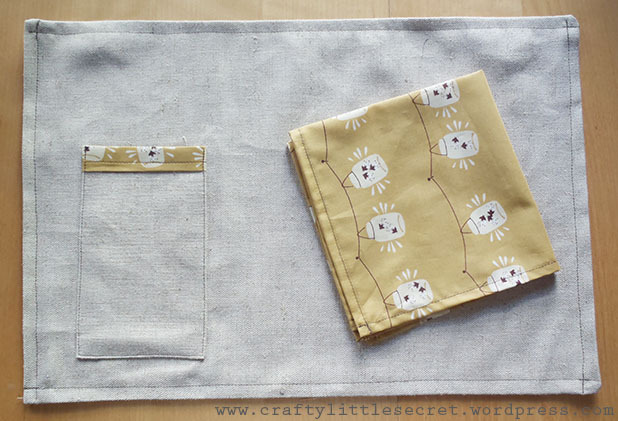 To make the placemats, you’re going to want to sew the pocket to the linen before assembling the front and back pieces. 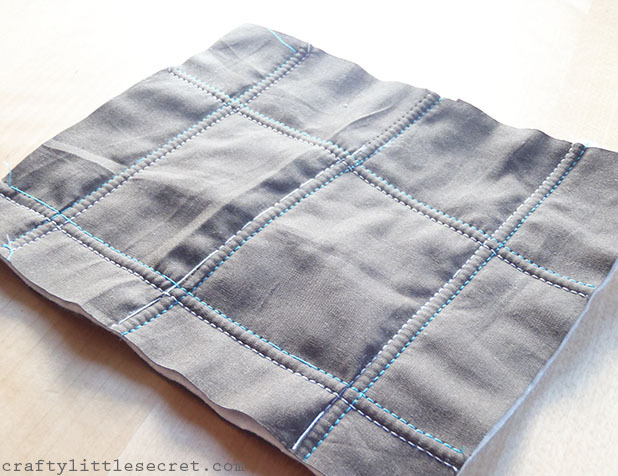 This keeps the back neat, without any visible stitch lines making the placemat reversible. So pull out that iron again, we’re not done with it yet! 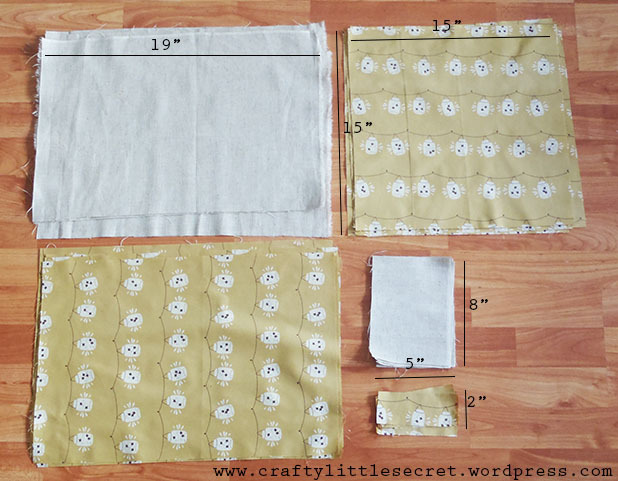 You’ll want to fold and press the 5″x2″ strips of cotton into bias tape (I’ve talked about how to do that before here), then sew them to one short edge of each 8″x5″ square of linen. 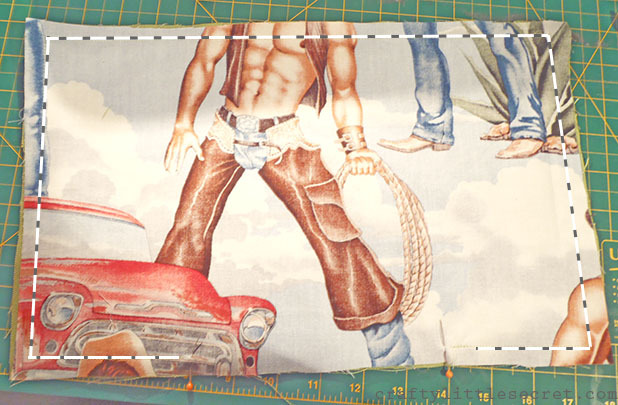 This will be a decorative edging on the top of the pocket. 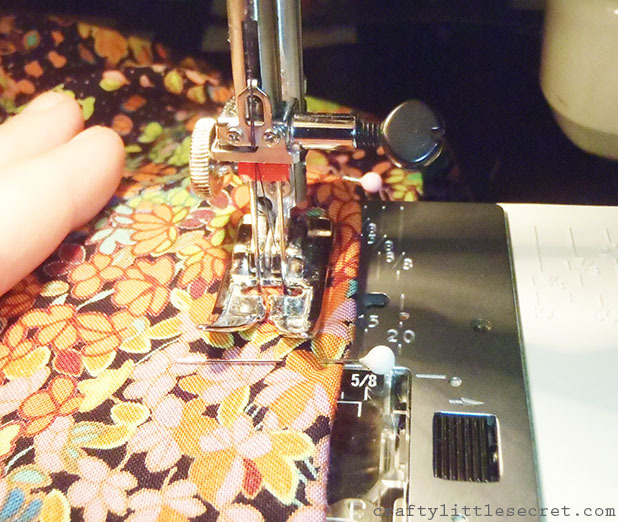 Next, press a half inch hem into the remaining three naked sides of the pocket piece, folding toward the wrong side. 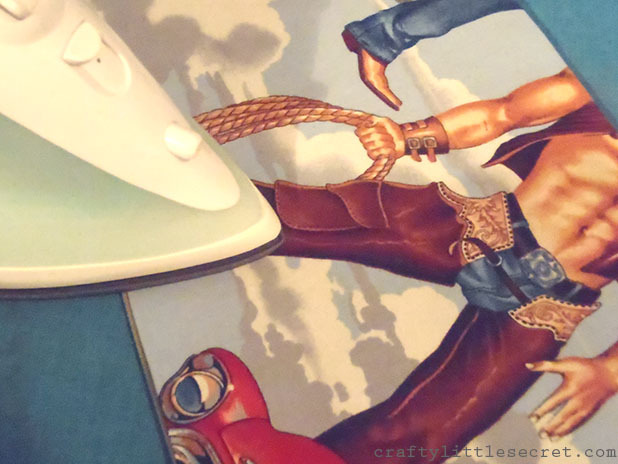 More ironing? Don’t say I didn’t warn you! Siiiiiiiiiiiiiiiiiiiiiiiiiiiigh! 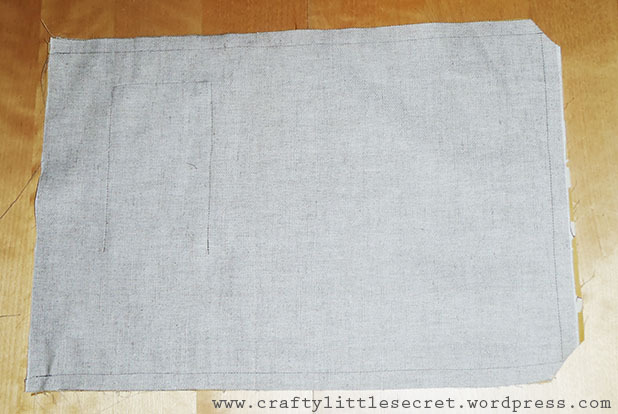 Next, attach the pocket to your linen placemat front. 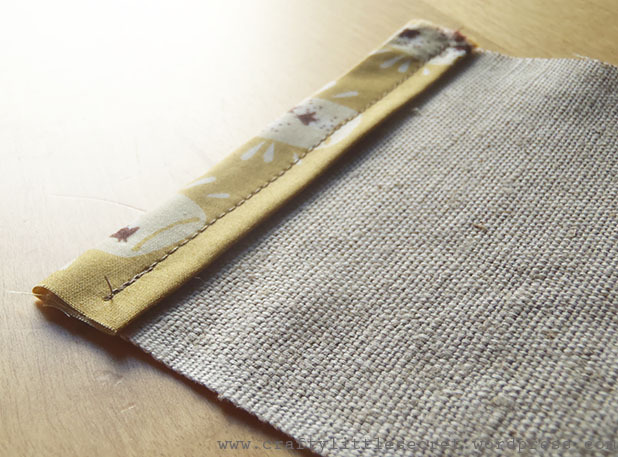 I put the pocket on the left side of the placemat (though a quick interwebs search told me that people do either side) 2.5″ from the left edge and 2″ from the bottom edge. 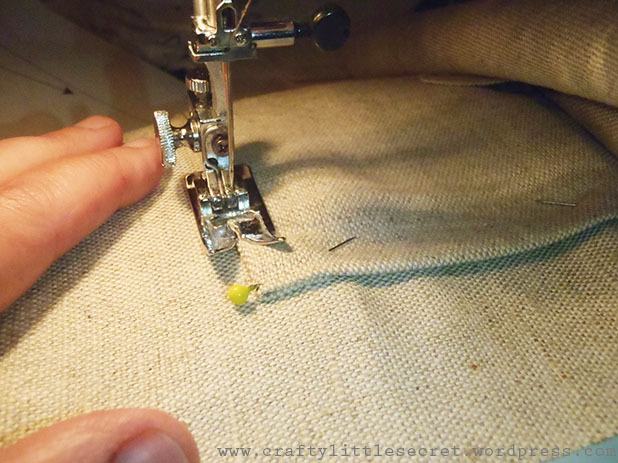 Once you’ve got your pocket pinned in place, neatly top stitch the three unadorned sides down as close to the edge of the pocket as possible. Flip the placemat right-side-out. 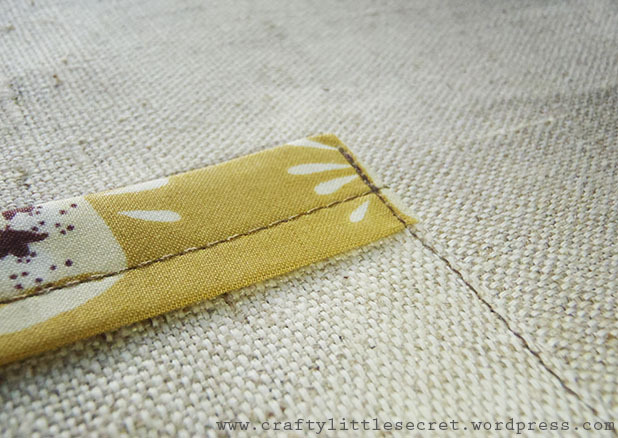 You might have to use a pencil to really get in the sewn corners and get them nice and crisp. 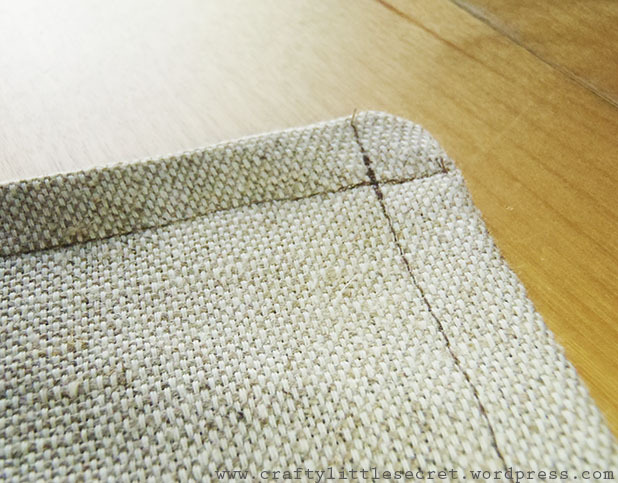 Fold a half inch hem inward on the open edge of the placemat and press (siiiiiiiiiiiiiiiiiiiiiiiiiiiiiiiiiiiiiiiiiiiiiiiiiiiiiiiiiiiiiiiiiiiiiiiiiiiiiiiiiiiigh). 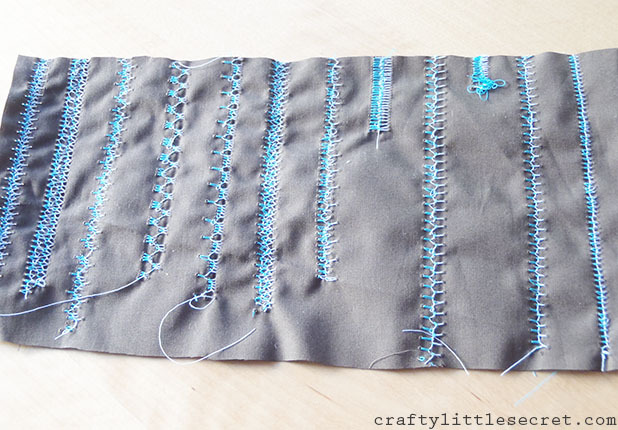 Top stitch around all sides of the placemat with coordinating thread about a quarter inch from the edge. 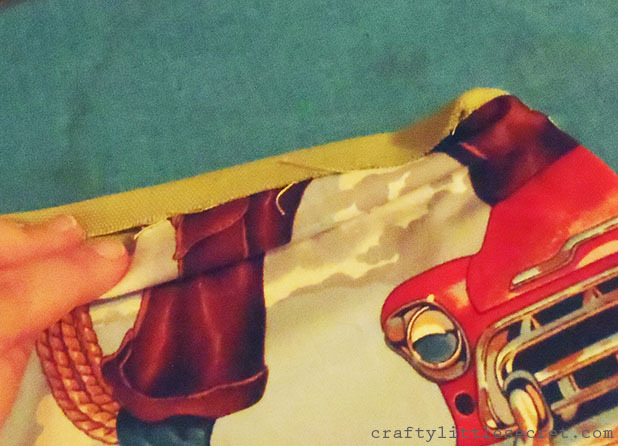 This entry was posted in DIY, handmade gift, Patterns and Tutorials, Sewing Projects on October 14, 2013 by missphd.